In Color Aluminum Coil Used for Food Containers we elaborated on how color coated aluminum coil can be used as cans for beverage, solid milk, protein powder and can fish. As a matter of fact, some other applications remain unmentioned. 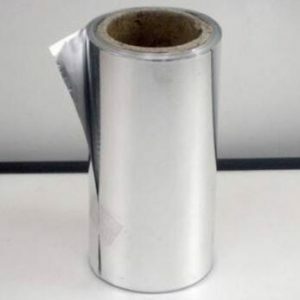 Aluminum sheet coil, if mixed with other materials like plastics, becomes perfect packaging material for liquid food. Take sterility packs for milk as an example. These packs are made of aluminum sheet coil and plastic film of high strength and heat-sealing property. They are so strong that people can not tear it by bare hands. If you want to turn a milk carton into a flat piece of sheet, you have to use scissors. Once pressed thin enough, aluminum sheet coil becomes protective angels for popular children food–sweets. The thin layer of film around sweets protect them against moisture and harmful bacteria. And the happiness of tearing the film apart still haunts many adults whose childhood was so simple that a piece of sweet could remove all sadness. Another application of aluminum sheet coil for food packaging proves to be very popular–meat packaging. Exquisite delicatessens wrap cooked beef or chicken with bright aluminum sheet coil before putting it into a plastic box or bag. At home, people also cover food with packaging aluminum before cooking it with a microwave oven. This keeps the food being cooked evenly and from getting burned. If you go for a barbecue, you can wrap different foods using packaging aluminum and cook them directly later.